Wild Deer Roaming Around London! 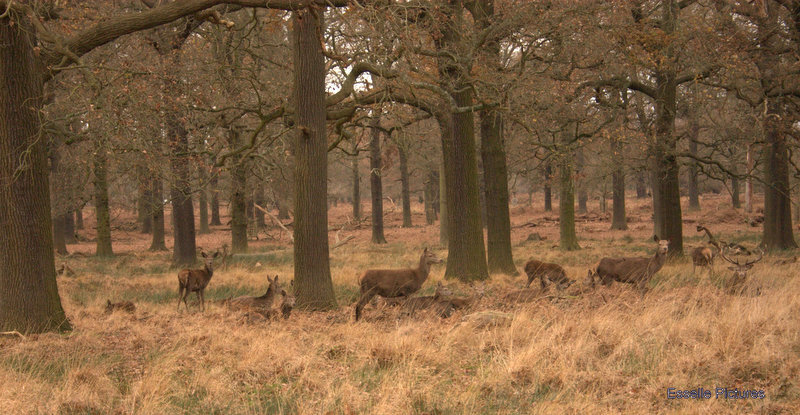 Yes these deer live in London’s Richmond Park Nature Reserve. In fact the deer were here long before London as we know it. The park is miles wide and although managed, left mainly to nature. People love this park so much they even get married inside it, at its Pembroke Lodge manor house. I was fortunate to grow up very nearby and have many fond family memories here. Nowadays I love to visit and capture pictures here and the Royal Parks is one of the charities I support. Thankyou for visiting the outoftheboxartists. I’m enjoying reading your blog. I heard recently that deer have been sighted in different parts of country Victoria in Australia which is an unusual thing to see (I haven’t as yet seen them).